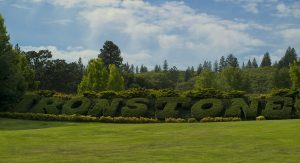 Ironstone is nestled in the charming gold rush town of Murphys. Family owned and operated, our winery places as much emphasis on the beauty and history of our surroundings as we do on the quality of our wines. Come take a tour of our premier winery and entertainment complex. We offer visitors a wide range of opportunities with award –winning wines in our magnificent tasting room, our Music Room featuring the Alhambra pipe organ, private meeting rooms, gourmet deli, wine aging caves, outdoor amphitheater and the Heritage Museum where you’ll find the world’s largest specimen of crystalline gold leaf – a 44 pound treasure uncovered just a few miles from our door.